Edinburgh is a many layered city, literally built on its history. What we can see on the surface around us is only the latest addition. You can gently peel back the surface and reveal layer upon layer of our past. St Giles Cathedral and The Royal Mile, which it sits on, is built on top of streets and closes which now lie bricked off and hidden beneath our feet. Hundreds of years ago they echoed to the sound of feet long since buried, yet the echoes still resonate through the stones and the buildings which surround us. Beneath the human history lies the even slower history of geology, and the rocks of the earth. The Royal Mile, and the castle at its head is built on an ancient lava plug, carved bare by the passage of a glacier during the Ice Age. The shape of the heart of old Edinburgh is formed by this history, and the Royal Mile lies like the spine of a fallen dinosaur, with Holyrood Palace spilling from its tail. This high ridge of impenetrable rock, holds the Old Town above the surrounding land, and so the city falls away from its heart in layers. This gives us streets flying over other streets, suddenly revealed by a bridge breaking the run of buildings. It gives us pavements on roofs, so you turn a corner and suddenly realise you’re not at street level anymore. It can be disorienting, but I find it enchanting, as nothing is quite what it seems here. All of us are built on our past, and although these layers lie hidden beneath the surface they will often provoke us in expected ways. Sometimes there are painful layers in our past which we want to erase or build over, but despite our best efforts they still shape us. Perhaps like Edinburgh we can allow these old shapes to become part of the foundations of the beautiful new surface unfolding from within us each day. We can’t deleted the past, but we can move on and keep building the life we are living now. We can evolve like this ancient city, into surprising and unique individuals, despite our impenetrable ridges and forgotten dinosaurs. This entry was posted in ancient history, change, Edinburgh, history, photos, weekly photo challenge and tagged change, Edinburgh, growth, history, life, photography, postaday, scotland, spiritual, symbolism. Bookmark the permalink. Oy, this made me HOMESICK. I loved the couple of days I spent in Edinburgh and wished for more time to explore that amazing city. Thanks! What gorgeous photos! I love Edinburgh. If I ever move back to the UK I would like to live either there or York. 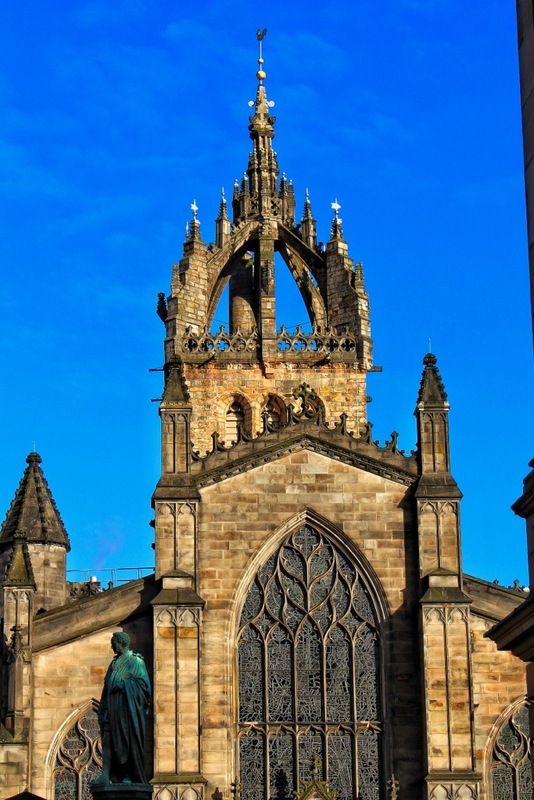 I am writing a post about Edinburgh for a link up and this post was suggested by Zemanta. I’m glad it was! Oh I love York too….again seeped in history 🙂 I’ll take a look at your Edinburgh inspired post, and thanks to Zemanta! Thanks! They were all taken a couple of weeks ago in the space of about an hour, in one small part of the city. Beautiful photos, and very well written as well! Someday I’ll be able to travel to Scotland, hoping to try some Laphroaig from the source! My wife has relatives there, so a visit could happen at some point! I have been to Switzerland (for my daughter’s wedding) but never anywhere else in Europe. You live in a world steeped in history (just so). Nothing on this continent can compare. And in the bargain you have many more wonderful subjects. Thanks for the travel log. I just knew I would love your entry! Of all the places to miss out 🙂 oh well it just means you’ll need to comeback again! absolutely stunning! i am not ashamed to admit i am an anglophile (i know scotland is technically not covered under that word, but in my own definition it IS 😛 ), and edinburgh has always been a place i’ve dreamed of going. I have visited Edinburgh several times and I am enjoying the memories that your photos brought forth. And then I read your words and they captured all the feelings that I experienced as I wondered through old town all those times. I brought students on a study trip and we stayed in the youth hostile across from the castle. I have fond memories of getting a Mark & Spencer’s take-away lunch and sitting on a bench in the park looking at Old Town skyline while listening to Princess Street traffic behind me. I miss you, Edinburgh! Well we certainly have plenty of sheep on mountain and moor 🙂 I like that quote, it’s so true, and thanks for the compliment! Gorgeous shots of what is clearly an amazing place. So what do you think about writing a guest post for Field Notes from Fatherhood? I’d love to have you contribute something. I would be delighted to write about child friendly Edinburgh…how do we do a guest blog? You can write a post about anything you’d like, (and child-friendly Edinburgh would be perfect) and send the text and any photos to me at mmtread@fieldnotesfromfatherhood.com. I’ll format everything and post it, including links to your blog. I really like your stuff, so I’m looking forward to reading what you do. Amazing photos! Your neighborhood looks enchanting. I hope I get to travel there someday. Oh you’ll love it when you get here. So many wonderful old buildings to explore 🙂 I love the challenge you’ve set yourself, but I bet time flies! Really beautiful. Looking at the buildings shows that this neighbourhood has a lot of history to it. Your photos will take me to Edinburgh next year, Seonaid! What an interesting and grande city. Beautiful shots of your neighbourhood. Thanks Marion. The architects long gone have done most of the photographers work, before cameras were even invented 🙂 It is such a pretty city. Oh lovely loyal Bobby 🙂 It always breaks my heart to think of him at his masters grave. Dogs are the best, and I love that Edinburgh has a famous one! Thank you for the wonderful tour, Mackenzie! Beautiful photos. You’re so inspiring – love how you talk about our own layers of history and how we can use them to create our future. Reminds me of what Rumi once said: Where there is ruin, there is treasure. The photos are a treat too. Your neighborhood is very cool! A vicarious visit is the closest I’m likely to get (at least until the kids are grown) so I really enjoyed the photo tour. That’s so true in Edinburgh too 🙂 I haven’t been to Amsterdam for years, but you’re making me want to go back. I didn’t have a proper camera last time I went!